A family transport firm is embarking upon a £2m expansion bosses say could create up to 25 jobs. 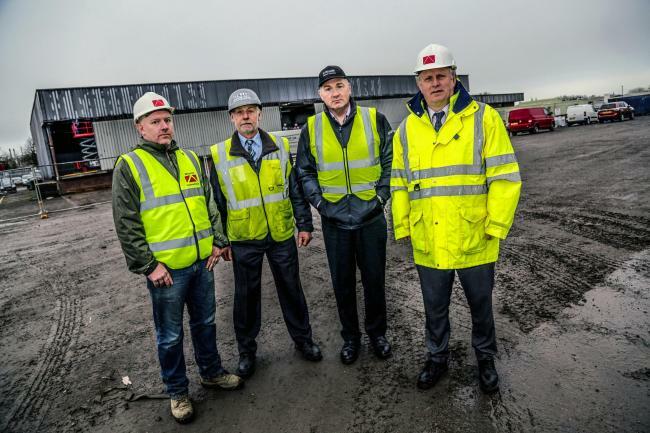 Stiller Warehousing and Distribution is building a new delivery centre. The company, based in Newton Aycliffe, County Durham, says the 50,000sq ft base will help it cope with sustained growth, which has seen annual sales rise by more than 20 per cent to £14.4m. The firm’s existing distribution operation is run from an older warehouse. However, officials say the new hub will be the largest of its type in the North-East and allow Stiller to load 30 vehicles at a time. They added the project could create up to 25 jobs, which would take the business’ headcount to 190. The scheme, project-managed by Darlington firm Wharton Construction, will also create more than 60 off-street car parking spaces and include an open-plan office for more than 20 staff. Matthew Stiller, managing director, said: “Moving the distribution side of the business to its new home is primarily to enable us to better cope with the rate of growth we’re experiencing. The outlay means the firm has now spent almost £9m in the last three years to support its growth. Nearly £2m was paid to build two warehouses, with more than £1.1m spent on a 40,000sq ft warehouse in 2015, increasing the company’s warehousing capacity to 200,000sq ft. It invested a further £750,000 in a 40,000sq ft extension, which was completed earlier this year, while in excess of £5m has been spent on vehicles. Mr Stiller said the distribution centre project is supporting jobs at a number of local construction sector operators. As well as main contractor Wharton Construction, Darlington-based ADG Architects, Durham civil engineers BDN and PTS Demolition, of Shildon, County Durham, are all involved, as are Aycliffe-based John Wade Group and SCH Site Services. Mr Stiller added: “There are several other sub-contractors based on Aycliffe Business Park we’re extremely pleased to be working with. The business’ turnover by the end of 2017 is expected to hit £14.4m, up £2.5m from £11.9m in 2016, which is made up of £10.2m from distribution and £4.2m warehousing. Founded when a former German prisoner of war sold a herd of pigs and bought a truck, the company stores goods and parts for wellknown national brands and local businesses, including industrial mask maker 3M.